About Human Skills and Resources Inc.
Overview of Human Skills and Resources Inc.
Human Skills and Resources Inc. is a behavioral healthcare provider with centers in three cities situated across the state of Oklahoma. Their programs are targeted at substance abuse rehabilitation and treating co-occurring mental disorders. 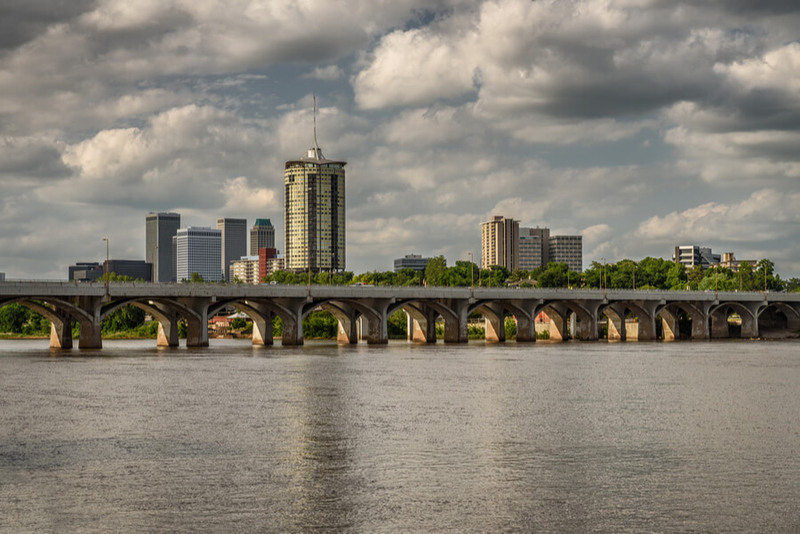 They provide outpatient treatment programs at their facilities in the towns of Tulsa, Sapulpa, and Claremore. The facility provides specialized programs that seek to rehabilitate victims regardless of their gender identity, race, national origin, disability, religion, age, or sexual orientation. Consequently, they accept adult and adolescent clients from across the gender spectrum. Their primary goal is the reintegration of each individual patient back into society as a functioning and productive member. The facility only offers outpatient treatment programs and consequently, does not provide clients with residential accommodations. The centers are easily accessible to people across the state. Their location in three different towns makes it even more convenient for clients to just travel to the nearest campus to their own residence in order to avail their services. Treatment Options at Human Skills and Resources Inc. Therapy Choices at Human Skills and Resources Inc.
Human Skills and Resources offers a variety of therapy options that provide clients with the requisite treatment to overcome their substance dependency. On admission into the program, clients have to undergo an initial assessment. This facility is a nonprofit organization that provides rehabilitation for drug and alcohol addicted individual along with treatment for underlying mental disorders. Their outpatient programs are a good choice for people seeking rehab and therapy while continuing on with their work and social obligations. Their programs are affordable despite no compromises being made to the quality of the services provided. Both the outpatient program and the intensive outpatient programs offered at the facility are ASAM certified. The therapies use evidenced-based techniques to provide basic treatment for substance abuse and mental illness that cause or stem from the developed dependencies. The general program comprises of two group sessions every week along with two individual therapy sessions every month. This program usually lasts for an average duration of 6 months. Paula Inbody has over 30 years of experience in the field of addiction rehabilitation and mental health care. She is a Licensed Clinical Social Worker (LCSW) with considerable expertise in working with substance abuse victims and facilitating their long-term recovery. She has served at Human Skills and Resources Inc. in various capacities over the years including clinical director and executive. She assumed the position of CEO in 2013 and held it since then. Steven Fritzis associated with Human Skills and Resources Inc. as the clinical director. He is in charge of overseeing all outpatient treatment services along with their future growth and development. He is a Licensed Professional Counselor (LPC) and a Licensed Alcohol and Drugs Counselor(LADC) with years of experience under his belt. This further enables him to deploy his considerable skills, insight, and leadership experience in carrying out the responsibilities of his position. Susan Buck is a licensed counselor, author, and educator who joined the staff at the facility in 2017. She oversees group therapy sessions that provide court-mandated rehabilitation techniques for patients struggling with sobriety issues. She specializes in counseling that facilitates long-term addiction recovery and relapse prevention. She has a Bachelor of Science in Family and Child Services and a Master of Arts in Counseling Ministries and Spiritual Guidance. Addiction Resource » Drug and Alcohol Rehabilitation Centers » Oklahoma rehabs » Tulsa » Human Skills and Resources, Inc.